Uber Hack: How to Earn Free Uber Rides Internationally! 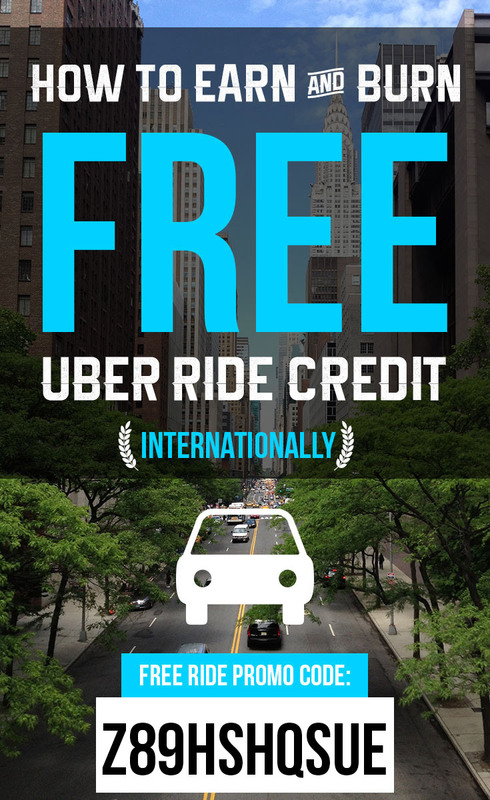 Interested in learning how you can earn and use free Uber rides and use the credits when you travel internationally? 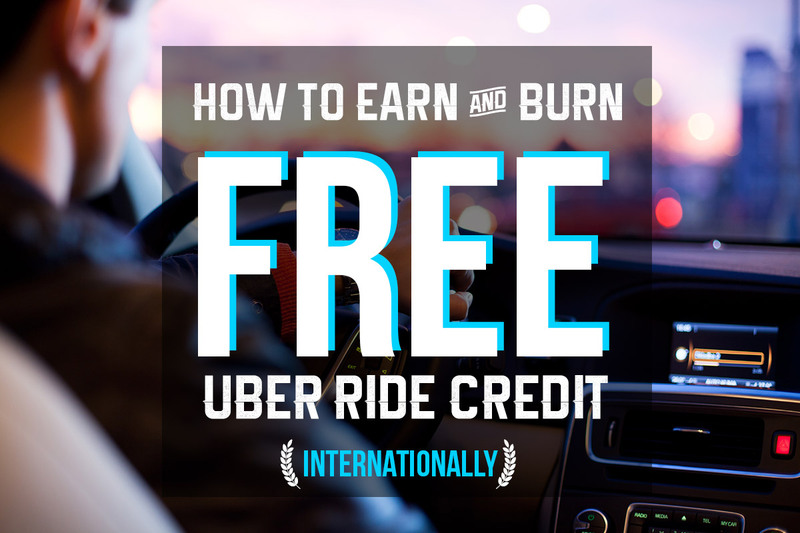 Well, you’re in luck because today I’m going to be sharing a lesser known Uber hack with you that will show you how you can earn and burn free Uber rides in just about any destination that Uber operates in across the globe. 3 Can I use my free ride anywhere in the world? How many of you guys use Uber when you travel? For me, Uber is an absolute godsend. Whether it’s using it during visits back home in the States or navigating the streets of Mexico City. My general rule is that if it’s not walkable, I pretty much use Uber any chance I get. Not only do I save money when I decide use Uber versus taking a taxi but I also get that comfy feeling that I’m in good hands with a driver who is held accountable for his or her actions and attitude towards passengers (unlike taxis). I know many of you have heard horror stories about Uber because they do pop up in the news from time to time. All I know is that I can only base my opinion on my personal experience and I am proud to say that I have yet to have a less than average experience. What really makes me a repeat customer is the fact that Uber relies on a feedback and rating system which keeps their drivers in check. The minute you give a driver anything less than a 4-star review, you’re immediately contacted via email by Uber’s customer service department wanting to know what went wrong and what they can do to make sure you have a better experience the next time around. I don’t know about you but I love that type of service. Okay, enough about my thoughts on Uber. Let’s jump right into what you came here for. For those of you who are new to Uber, I’m going to show you how you can get your first Uber ride free for simply signing up for a new account. Click here to follow the simple step-by-step instructions to get your first ride free! If you’d prefer to sign up for your new Uber account using the web based form, click here. Note: You’ll still need to download the app in order to use Uber even if you use the web signup above. All you need to do to get your Uber first ride free is enter the Uber Coupon Code (shown above) into your Uber app. Can I use my free ride anywhere in the world? So you’ve earned your first Uber ride. Sweet! Now it’s time to put it to use. But wait, before you do you should know that Uber has a dirty little secret that you probably never knew about. Uber does not allow you to use your free ride voucher in any country other than the location that you set in your profile when you signed up for your account. Uber does not convert or apply any previously earned ride towards an Uber ride outside of your home country (based on the location in your profile). Example: If you refer a new user to Uber and you earn a free ride credit in the United States (free ride up to $20), you cannot use that credit towards any Uber ride outside of the United States. If you’re someone who travels internationally on a frequent basis like myself, this is a big deal. Fortunately, after some testing and playing with my Uber profile settings I found a way around this and now I’m able to earn free Uber ride credit in the countries that I’m heading to next. Continue reading below. Considering that your new and subsequent free Uber rides can only be used in the country that you set in your profile when you first signed up for Uber, we’re going to need to make a small change to your current Uber profile. When you sign up for Uber for the first time and you create your account it’s mandatory that you fill in your home country, otherwise known to Uber as “location”. This location is what determines which country you’ll earn free Uber rides in going forward so we need to make sure we plan ahead. 2. Click on Profile – located on the left hand sidebar menu. 3. Change your location to the country you’re planning on visiting next. 4. Now each time someone signs up for a new account and completes their first ride via your Uber promo code you’ll receive a free ride credit from the location (country) based in your account. Note: You’ll need to be sure that the city or country that you’re visiting next has Uber in the first place. To find out which cities Uber services, click here. Have you heard of UberEats yet? If you haven’t let me tell you about it (briefly). Uber now has it’s own food delivery service called UberEats. All you have to do is download the app and you can order food direct to your door after just a few simple clicks on the clean and easy to use interface of the UberEats app. Learn more about how you can get your first meal FREE with this UberEats promo code. Do you have any questions about earning and using free Uber rides when traveling internationally? If so, leave a comment below. Note: I receive free ride for referring new users to Uber after they complete their first ride (you can, too!). Get started today! This is such a great hack! Love this tip for any traveler. Wow, Ryan you are something new….thanks for this tip. Thanks for the comment Gilbert. Wishing you the best of luck on your adventures! I have downloaded Uber while I was in Vegas but my home country is Canada so I have 2 free rides as I referred my family. How can I use those 2 free rides while I’m in Vegas but registered in to Vancouver Canada where Uber doesn’t exist at this time. Hi Linda. To clarify, you earned two free Uber rides while you were in the United States and you want to use those rides during your next visit to Vegas, correct? I understand Canada is your home country in your profile but let’s go ahead and change your home to the United States and see how that works for you. 3. 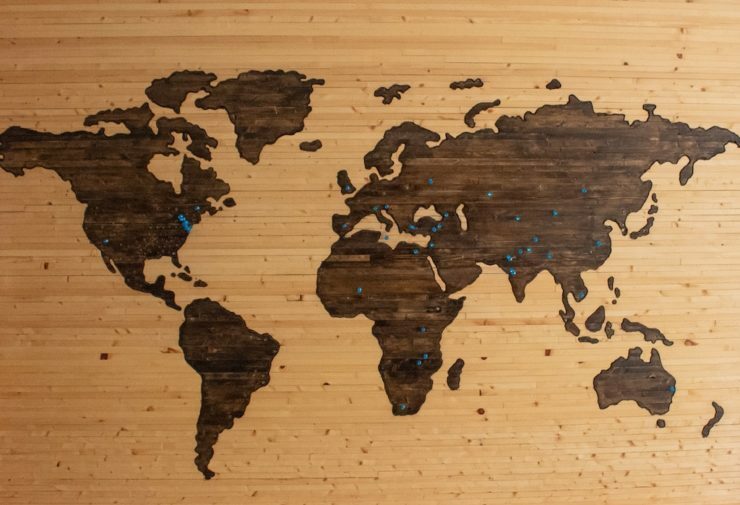 Change your location to the country you’re planning on visiting next and save the changes. See if that works when you get to Vegas and report back to me. Best of luck! Can you change your country to use the free first ride promo in that country? The Uber first free ride promo can only be used once no matter which country your profile is set to at the current time. Changing your country only applies when earning and using your newly earned free rides. Hope this helps! Perfect. No, I don’t find that Uber uses too much data. You should be fine. Unfortunately, I have not covered Bangkok or Phuket in depth. Best of luck on your travels! Please try sharing with your UberEats promo code with family and friends. Hi I want To Understand something I did my account when i was in united states From My friend Referal promo Code and allready gets 15$ free first ride … but i didn’t use it there And Now I Traveled To Cairo Can I use this first free ride which i get it from america ??? Or It’s Allowed only to be taked in US ??? Hi Amir — you cannot use promo rides that you earned in the US in other countries. I just started using Uber last week whilst I was in Romania! Unfortunately, I saw another bloggers’ post first and used his code to get a $20.00 free ride, that wouldn’t expire for up to 2 years, although I have to be in the US! Sorry! As a British person living in Germany, I figure that wouldn’t be a problem! Re-refer a new user to Uber internationally. I followed your instructions and it worked perfectly! I was in Romania last week, and the free ride was 10 lei (worth just a measly €2.00). Now that I’m back in Germany, I changed my location, and the free ride is worth €5.00! I can’t give you a refer fee anymore, so I’ll share your post instead! p.s Any tips on how to customise the code. I tried to do so, but it wasn’t possible. If I have an uber gift card is it possible to use those over seas. We are planning on going to Paris London dubln and Glasgow. As far as I know you can only use the gift card in the country it was originally purchased in. If you have further questions, I would recommend shooting Uber a message to confirm. I just signed up for uber myself- can i use the first free ride code? i have mine set to Canada and i’m going to the US and will be referring someone with a canadian number but also will be in the US. i can’t seem to find where to change my country? Hi Erin. Yes, you can use the first ride free code. 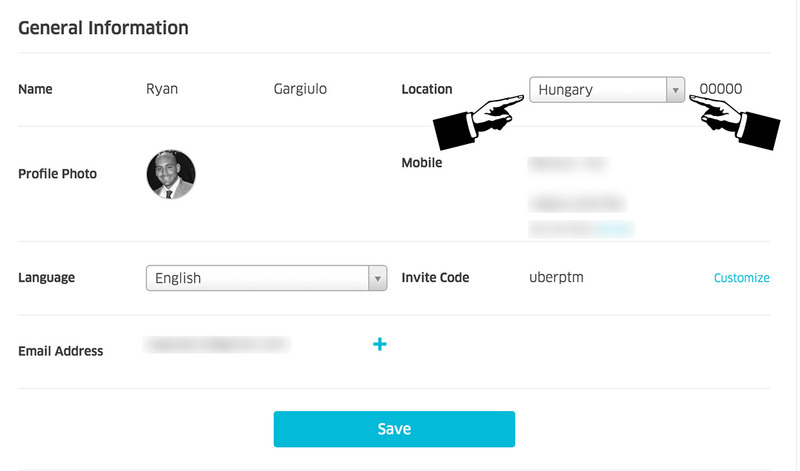 You can change your country by going to Uber.com and logging in on your computer (not your phone). Once inside, click on edit profile and it allows you to change your country. Will this trick work in India? Yes, it works worldwide. What you need to make sure of is that your profile country is set to the country you want to earn the free ride in.